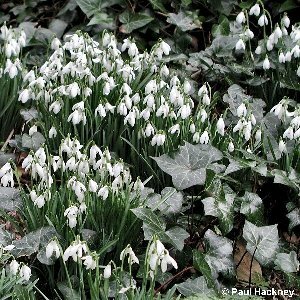 The snowdrop is a winter-flowering garden plant which has escaped in many places, probably by the bulbs being thrown out with other garden rubbish. It is unlikely that the plant is truly naturalized in any site in Northern Ireland, but it will persist indefinitely in the right circumstances, rather like daffodils (Narcissus spp.). 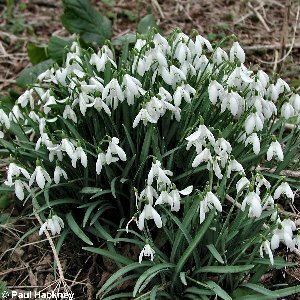 All names: Galanthus nivalis L.